While I'm drawn to any type of movie as long as it has a good script and good acting in it, I've always held a place in my cinematic heart for stories about broken people. Be it a disability, bad luck, or just happenstance, there's always something fascinating about watching characters who haven't figured it out yet on the big screen. 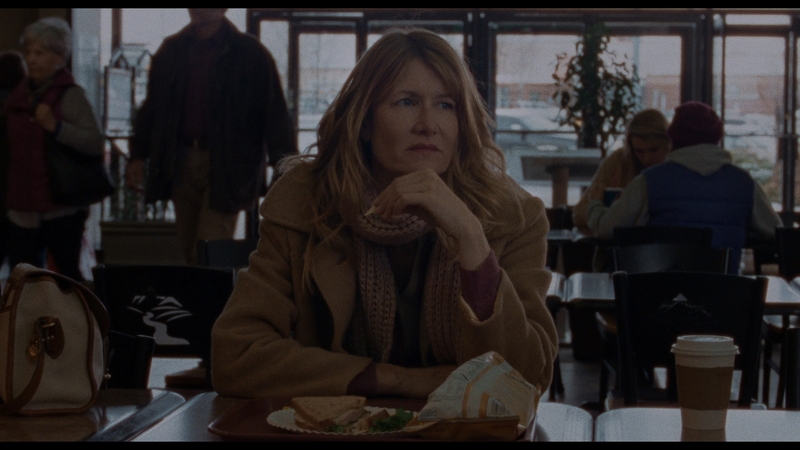 Certain Women is a movie like that - telling three stories featuring three women who suffer one of the biggest maladies known to humankind: Loneliness. Laura (Laura Dern) is a tort lawyer in a small Montana town with a client (Jared Harris) who got injured on the job and can't seem to accept the fact that the small settlement he already accepted from his former company bars him from seeking any other legal relief. He constantly comes to her office to talk about his case, and she even has a meeting with him out of town at another attorney's office who tells the man that, yes, he cannot sue his former company in court. The client's depression and frustration lead to a hostage situation where Laura is called in by the police to help. The second of the three segments in the movie involves Gina (Michelle Williams), who is married to Ryan (played by James Le Gros, who we have already met in an earlier scene involving Laura, although I won't give away the details - nor does the film ever comment on them again) and who both have a young daughter, Guthrie (Sara Rodier). We are introduced to the family living in a large tent out in the middle of nowhere. At first, I thought they might be homeless, but they're in fact in the beginning process of building a house at that location. Gina wants to buy a large pile of sandstone that is on the property of an elderly man (René Auberjonois) who lives nearby, and this part of the movie deals largely with that negotiation. The last tale told in Certain Women is perhaps the most emotionally moving, as a young woman named Jamie (Lily Gladstone), who spends her days tending to horses at a local stable, decides one night to follow a group of people into a local high school and attend a class for teachers about how the law affects what they do. The class is taught by Beth (Kristen Stewart), who meets Jamie after the first session and has a late-night meal with her at a local diner. This becomes their habit after every class, and it becomes obvious after a while that Jamie is falling in love with Beth and that Beth either isn't aware of Jamie's interest or just doesn't feel the same way. Then, one evening, Beth doesn't show up for class and Jamie has to decide if she's just going to let things go or try to find Beth. At first glance, it might not appear that these three sections of the movie have much to do with one another, nor are they ones that provide much in terms of resolution for the viewer. 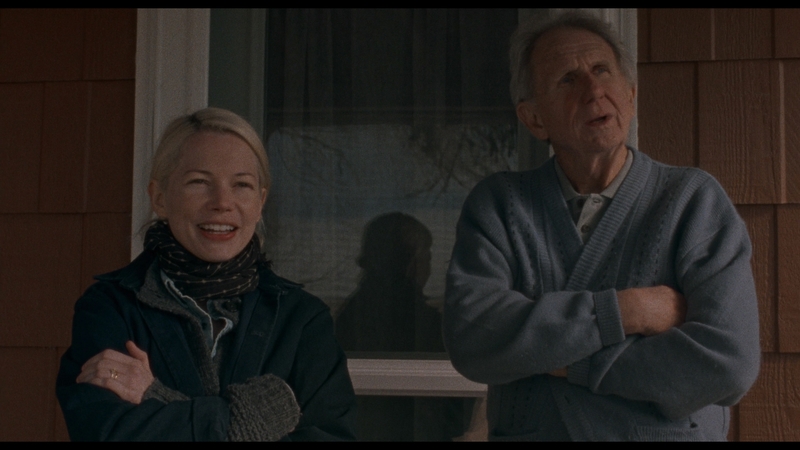 However, upon reflection, it's easy to see the common thread that director Kelly Reichardt is trying to convey. All of these women, be it through their work, their home life, or just in general are reaching out for some sort of human connection that they just can't quite seem to establish. The emptiness in their lives is visually represented by the open vastness of the Montana countryside in which they live. And although that may sound like it results in a movie full of depressing moments, that's really not the case here, as even though none of the stories result in any of these three women breaking their pattern, there's some hope that they'll all be able to eventually. Certain Women is a slow, meandering, and quiet movie - yet somehow completely engaging and entertaining. It's one of those films that will stay with you long after watching it and make you ponder your own situation in life and if you're paying attention to those around you. It's deserving of the Criterion label, and I encourage everyone out there to give it a look. Certain Women arrives on Blu-ray in the same type of clear keepcase that Criterion uses for the majority of their single-disc releases. The 50GB disc is housed alongside a fold-out insert containing an essay by Ella Taylor. The Blu-ray is not front-loaded with any trailers and the main menu has the standard Criterion design, with a still image of a pickup truck in a field and menu selections vertically down the left side of the screen, which open up to further options when selected. Certain Women was shot on 16mm film and this new 2K transfer of the movie is taken from the original camera negative. The movie is presented in its original theatrical aspect ratio of 1.85:1. While the transfer here is actually pretty good, the fact that the movie was shot on 16mm film added with the fact that the cinematography leans toward muted colors results in an image that's accurate, but not necessarily appealing. Grain is evident throughout, and black levels, while decent, aren't exactly inky deep. The transfer doesn't offer up the "pop" one is used to on Blu-ray, but details are still good and skin tones are consistent throughout. In terms of any glitches, I didn't pick up on any major issues with frequently seen problems, such as banding or aliasing. This is a good, if not particularly stunning, image that fits the tone of the film nicely. The featured track here is English 5.1 DTS-HD Master Audio, which was mastered from the original digital audio files for the film. Much like the video presentation, the audio here doesn't "wow" with big moments, but the track is remarkably effective, with more immersiveness and surround use than I would have expected, such as the sounds of a moving train or the frequent blowing of the wind in many of the outdoor moments. The audio isn't boisterous or aggressive, but it's well-rendered and there are no issues with the spoken word (exclusively front and center), which is clear and properly mixed with the rest of the track. This is an aural presentation that may not be flashy but is certainly well done. There are no other audio options for the movie. However, subtitles are available in English SDH. Interview with Kelly Reichardt (HD 14:13) - The director of the movie talks about how she went about getting permission to adapt a selection of Maile Meloy's stories for the big screen, as well as the process of weaving those stories together into a common thread. She also covers the shooting of the movie and comments on the actors. This segment makes a nice substitute for the lack of a commentary track on this release, as she covers a lot of what viewers see on screen. Interview with Todd Haynes (HD 14:35) - The Executive Producer of Certain Women, who is a director himself, discusses his long history of working with Kelly Reichardt, including teaming up with her again for this film. Interview with Maile Meloy (HD 13:12) - The author of the short stories upon which Certain Women is based talks about how Kelly Reichardt approached her about making this movie, as well as discusses the three storylines featured in the film. Trailer (HD 2:00) - The original theatrical trailer for Certain Women. A study of loneliness in three acts, Kelly Reichardt's Certain Women is wonderfully acted and beautifully told. It may not be presented in the traditional narrative form that most moviegoers are used to seeing, but that doesn't take away from its emotional impact. It's a movie that will leave you wondering about these characters long after the credits have rolled. Recommended.